This month the what to plant advice is direct from the Horticultural Society of Canberra (www.hsoc.org.au) and we’ve included what to plant but also some general garden care tips as well. 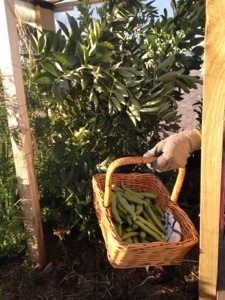 A quick reminder to that the Summer Veg Challenge is still on, so post your pics to www.facebook.com/100kilos.org and get or keep our veg patch brag book going be in the running for the trophy. PS: Details coming soon of harvest swaps in Yass in February – no need to eat more zucchini than you can manage any more :-P.
Clear broad beans and peas, and prepare bed for winter brassicas. Sow seeds of beans, beetroot, broccoli, Brussels sprouts, cabbage, carrot, cauliflower, Chinese cabbage, cucumber, leek, lettuce, radish. silver beet, sweet corn and zucchini. Extra effort may be required to keep soil moist until germination takes place. Plant seed potatoes and seedlings of beans, beetroot, broccoli, Brussels sprouts, cabbage, carrot, cauliflower, Chinese cabbage, cucumber, leek, lettuce, radish, rhubarb, silver beet, tomato, zucchini. At the same time, remove any plants that are not doing well or are showing signs of disease [then you’ll get more from the ones you leave behind]. Apply liquid fertiliser fortnightly to all vegetables. Mulch tomatoes and corn. Continue harvesting crops planted in spring. Onions, shallots and garlic should be dug and stored in a dry airy position indoors. Heavily-loaded fruit trees eg plums may need some support to prevent limbs from breaking, or alternatively, summer pruning will lighten the load on branches. Harvest stone fruit and remove any damaged or fallen fruit from trees. Excessive growth on Kiwifruit should be kept in check at all times. Protect apples and pears from codling moth. Citrus plants need plenty of water once a week as well as one application of blood and bone. Prune off any dead or twiggy growth and if scale is evident, or if you see ants or sooty mould before you see the scale, spray with white oil, pest oil or another oil product to smother these insects and their eggs. Spray with Confidor® to prevent future scale attack. Bronze orange bugs appear in summer. Whether small and green, bright orange or adult, looking like large spiny cockroaches, they all do damage as sap suckers. Use a bucket of hot water and knock the bugs into it, but wear goggles, long sleeves and gloves for they squirt caustic liquid which can be very painful to the eyes. 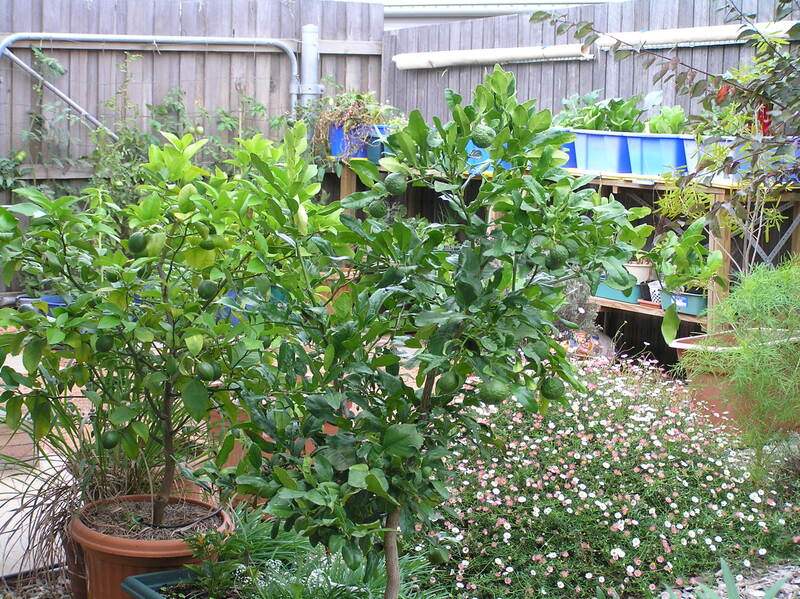 In extreme heat, potted fruit trees can be moved to a cooler spot in the garden. January is too hot for strenuous work in the garden but it is wise to continue weeding, watering and keeping pests and disease under control. Watch for caterpillar attack on small plants and two-spotted mite on older crops as these can quickly ruin your good work. Watch also for pear and cherry slug on pears, plums, peaches, cherries, almonds, hawthorn and rowan. Oil spray, pest oil, eco-pest oil or with small plants, the contents of the vacuum cleaner or dust will be effective. Prune berry bushes which have fruited by removing all canes which have borne fruit. Remove any unwanted tree seedlings by treating with glyphosate. Treat first, cut later, otherwise the cut tree may sucker and your poisoning job will take far longer. Even if your lawn is looking worse for wear with summer heat and lack of water, it’s still a good idea to run the lawn mower over it to tidy any leaf debris and seedheads. If going away, arrange for the lawn to be mown in your absence. Organise for the garden to be watered at least twice weekly if there’s no substantial rain. Check plants are well-mulched and that mulch has not compacted by lightly forking to aerate the soil and allow moisture to penetrate deeply. If applying fresh mulch ensure firstly that the soil is moist. Wetting agents may assist. Check watering systems to see that all drippers are working properly. Once the drippers have been checked, ensure that all areas are well-mulched. Check individual plants, particularly any that are newly-planted as they may require more moisture, mulch and care to get them through summer, perhaps adding water crystals or a drench of Seasol Planting Gel®. Don’t forget to clean out and top up the bird bath. And if you are looking for other great gardening info for Canberra and Surrounds, check out www.hsoc.org.au! ← Give a Veg Patch Gift?